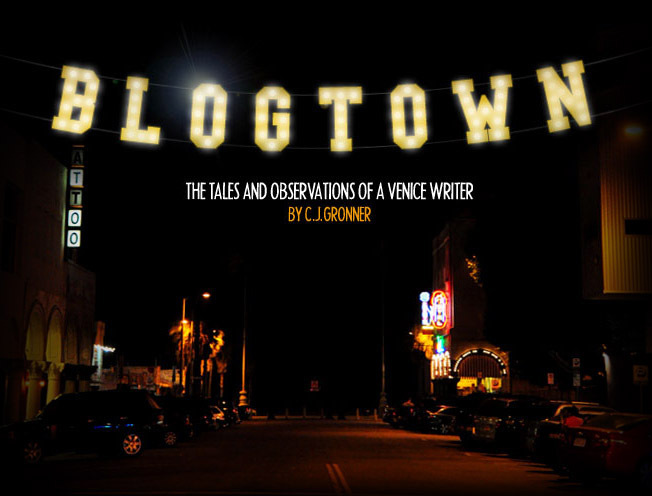 Blogtown: Normal Is Over - Venice's Freakshow on AMC! I am thrilled to report that my good friends at the Venice Beach Freak Show are getting their own reality show on AMC, called, appropriately, Freakshow, which starts airing TONIGHT, Valentine's Day, February 14th at 9:30 pm. Todd Ray, his wife Danielle, kids Asia (now the youngest sword swallower in the world! )and Phoenix, and their extended family of performers invite you into their world, where "Normal is relative". I first got to know and write about the Ray family in 2010, and am so happy to see their message of fun and acceptance blowing up all over the world. "Normal is an illusion, there is no such thing is normal ... some people have a problem with the word 'Freak', but we should have a problem with the word 'normal'," explains Todd, as everyone has a struggle to fit in and appear "normal," but no one really knows what that is. So the Freakshow cast decided to have a funeral for Normal, and held a parade carrying Normal's casket all the way down the Venice Boardwalk, celebrating its death, and our differences. Todd old-timey preached the funeral, asking for a moment of silence for Normal. When it was through, the entire Boardwalk erupted in two minutes of joyous shouting, proclaiming that we are ALL Freaks in our own way. That funeral will be in the show, along with supercool things like the Freak Show performing in a huge tent during Fashion Week in New York, and also just the every day happenings that make it all tick. Venice is as much the star of the show as any of the performers, and beautifully portrayed. The Tallest Man in The World (8 feet!) joins Amazing Ali (the tiniest lady), Larry the Wolf Boy, Murrugun The Mystic and all their friends at the Freak Show, in a real behind the scenes portrait of Todd Ray's childhood dream not only coming true, but growing and growing. While you're learning the story of the Rays and Freakshow, you're also learning what Venice still means to so many people around the world. Todd is inspired by the place that another man with a dream thought up long ago. Abbot Kinney would appreciate the renaissance that the Rays are trying to bring back to Venice, and as Todd says, "We NEED it here now. It's a piece of history, and a piece of Venice that is positive and creative. Everything we love about Venice is in this show." That's all I needed to set the dvr for every single episode. Join us Freaks, starting February 14th on AMC. That's TONIGHT, People. 9:30 pm. Happy Valentine's Day, with LOVE from Venice!!! XXXXX!